Charges not filed against guy with artsy watch « Adafruit Industries – Makers, hackers, artists, designers and engineers! 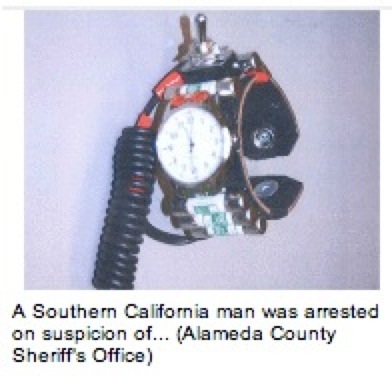 Oakland: Man suspected of wearing ‘bomb’ watch at airport released, no charges filed – San Jose Mercury News. The Alameda County District Attorney’s Office has declined to file charges against a Southern California artist and teacher arrested last week at Oakland International Airport for wearing a suspicious watch. Part of our job as makers, hackers, designers and educators is to help the TSA and others understand that many people are making things again, it will take a few events like this but in the end everyone is getting smarter about all this. There are millions of people out there creating, it’s not going to stop, and some of them travel from time to time.